Thanks to some interesting choices this spring, the discussion during today’s Fox executive session at the Television Critics Association summer press tour turned to the network’s Last Man Standing revival. There was a certain business sense to the whole deal, given that the Tim Allen-led “comedy” is produced by Fox’s corporate sibling, 20th Century Fox. But you can’t cancel Brooklyn Nine-Nine and dig up the body of a show that is best left alone without raising a whole lot of eyebrows. The recently-released teaser for the upcoming season is full of guttural sounds but little indication of whether the revival will address the lead character’s conservative politics, which Allen and co. were happy to play up in the show’s previous iteration. When ABC canceled the show earlier this year, Allen claimed it was because of said politics (he also alluded to the “danger” of having a “funny, likable conservative” on TV, which is apparently how he thinks of his character, Mike Baxter). 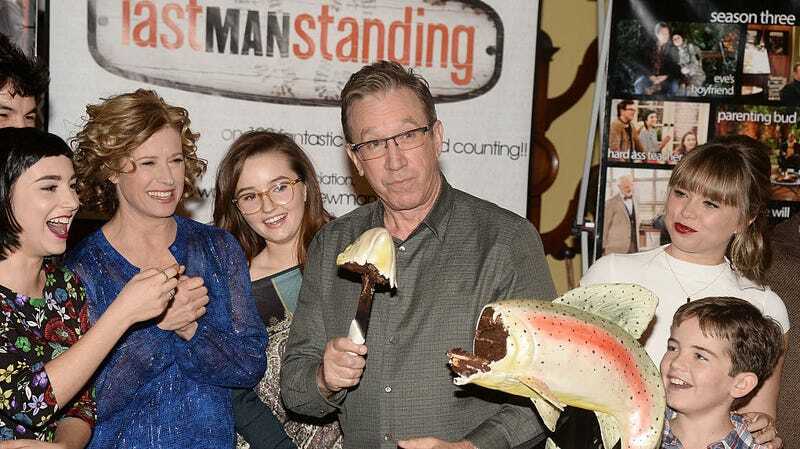 Last Man Standing will be partnered with the upcoming The Cool Kids, which stars David Alan Grier, Martin Mull, Vicki Lawrence, and Leslie Jordan as a bunch of retirees.